Scientific and architectural advancements are making homes safer and more durable than ever. For instance, houses are made with flame retardant materials that lower the chances of the home burning to its foundation. Roofs are no exception to these advancements, and choosing the right roof for your home might actually save you money on your home insurance costs. Impact resistant roofs (IRR’s) are specially designed and tested to be impact resistant for exposure to hailstones, strong winds, and flying debris. They can be made of asphalt, metal, plastics, rubber, and recycled materials. Impact resistant roofs are rated as class 1, 2, 3, or 4 (1 being the weakest, 4 being the strongest) based on the test results. The cost of impact-resistant roofs varies based on the type you buy. 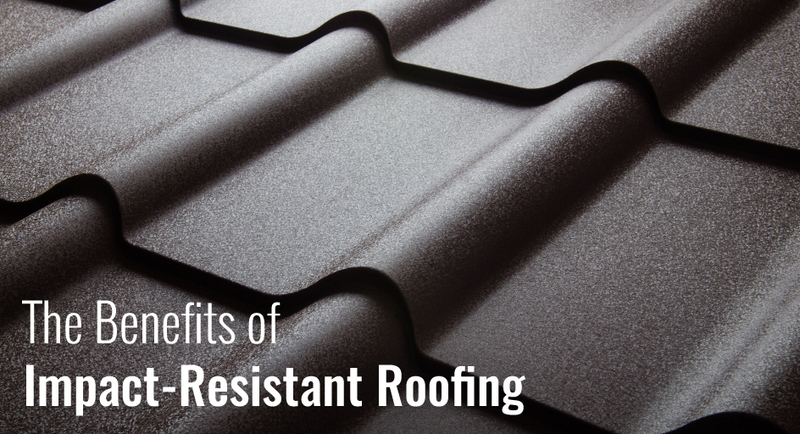 Impact-resistant roofs are simply more durable, no matter where your home is located. They are made to resist damages from threats that can shred conventional shingles and tear them away. Homeowners with impact-resistant roofs save money on repairs and insurance claims after big storms come through, not to mention their homes are kept safer. To top it off, most IRR’s come with a 30-50 year limited product warranty. They are more expensive than traditional roofs, but when you weigh the outcome, IRR’s are an investment worth making. When your roof is less susceptible to serious damages, your likelihood of filing a claim is smaller. For this reason, several states offer an insurance benefit for opting for an impact resistant roof. This is especially true in states where weather patterns are likely to bring severe hailstorms. Ask your agent if you can save on your homeowner’s insurance premium by upgrading to an impact-resistant roof. Your roof is one of your home’s most important elements, so you’ll want to check it for missing, curled, or damaged shingles. If you aren’t sure what kind of shape your roof is in, schedule a professional roof inspection. If you know you’re in the market to replace your roof, contact one of our agents today to see how an IRR can help you save on insurance costs!